I saw this paper butterfly in Pinterest last week and immediately decided to try it. 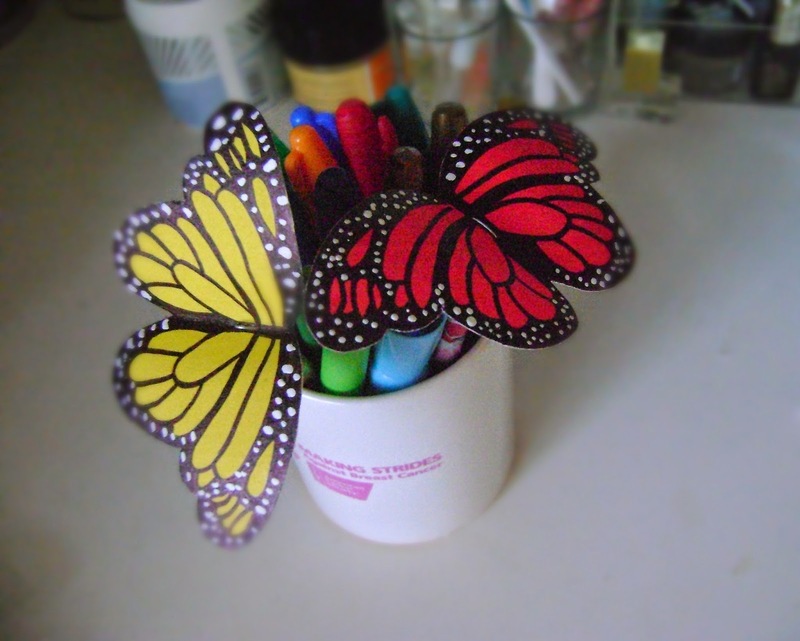 That post is full of diy butterfly ideas. Totally check it out! 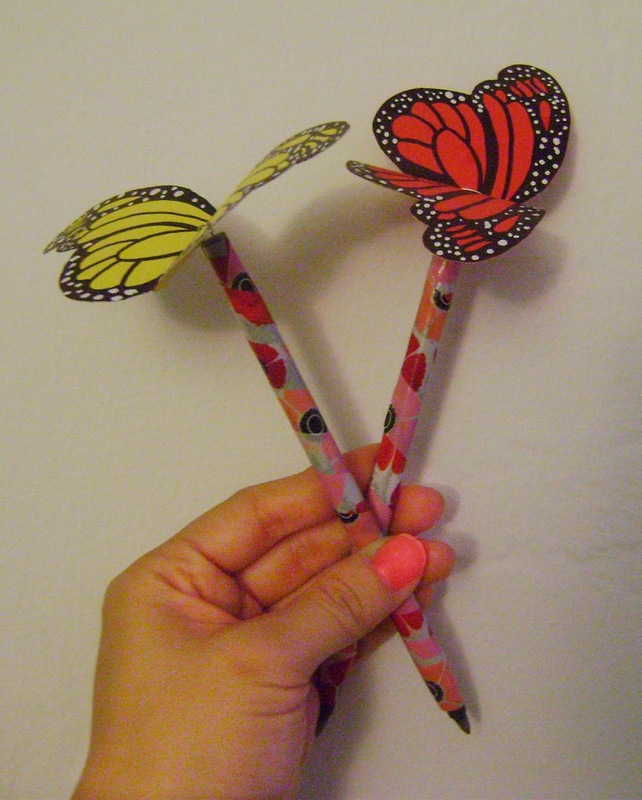 Here is what you need to make the butterfly pen. Here is how I made the butterfly. You can use this to decorate anything you like or just put it somewhere on your desk. But I used it to decorate my pen. There you go. You have beautiful pens that might make you want do some homework!